Number 13…unlucky for some, they say. But, not for today’s artist who finds themselves nestled in my Album Of The Year 2013 list. Who is it? Well read on and all will be revealed. I hope you enjoy reading this post and make the most of it because I shall be taking a small break for a couple of days to enjoy the festivities with family and friends. However, I will return with the remainder of my countdown, don’t worry! This is another one of those albums that caught me a little off guard. I haven’t always enjoyed the former Emperor frontman’s solo material and, as such, I wouldn’t have called myself a dyed-in-the-wool, die hard fan. It goes somewhat without saying that I love Emperor, a very important band to me ever since I discovered them as a teenager. On that basis, I have always felt obligated to check out Ihsahn’s solo work rather than look forward to it impatiently. The previous album offered more enjoyment than the others before it but I was still not expecting to like ‘Das Seelenbrechen’ as much as I do. In keeping with previous albums, the material can best be described as unique. 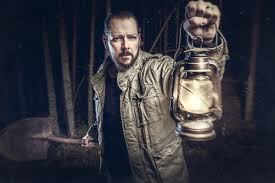 No-one else in the world of extreme music is doing anything even remotely similar to Ihsahn. If you want a label, I guess that avant-garde post black metal might be vaguely accurate but to be honest, such is the variety on offer, you really have to listen to the record to form your own opinions of ‘what’ and ‘how’ it actually sounds. That is part of the magic. Unlike previous albums, there appears to be a much bigger focus on atmospheres and moods. The first half of the album is a tamer, more melodic beast than I was expecting. The compositions are immediately engaging, unexpected and contain melodies and motifs that get lodged in your head almost straight away. The first time I heard ‘Pulse’ for example, I was hooked, in spite of my normal dislike for electronics and the like. That just demonstrates how good this music is. 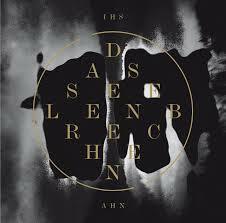 The second half of ‘Das Seelenbrechen’ is a slightly more wild beast with a demonstrable increase in the aggression and chaos that will be familiar to long term fans. And yet, for all that chaos and threats that the music may come completely off the rails, it remains entertaining and, importantly, listenable. This album is so good that I am now happy to call myself a ‘fan’ and I listen to it on a surprisingly frequent basis. I could say more, but I’ll let you listen to the samples and draw your own conclusions. Remember, if you happened to miss last year’s countdown, my Top 20 of 2012 can be viewed here.